This is the story of Tom and Misha, two bottlenose dolphins that were captured from the wild off the coast of Turkey. They were housed in a tourist facility and became an attraction, offering people the chance to swim with them. Now, with help of the Born Free Foundation, Tom and Misha have been returned to the wild. In 2010 a campaign was launched to rescue Tom and Misha, after several individuals made it known of their concern for the well being of the animals. The dolphins were subsequently re-homed, moved to a sea-pen, where they undertook an extensive training programme of rehabilitation, in order to learn the survival skills needed that they had inevitably lost after years in captivity. 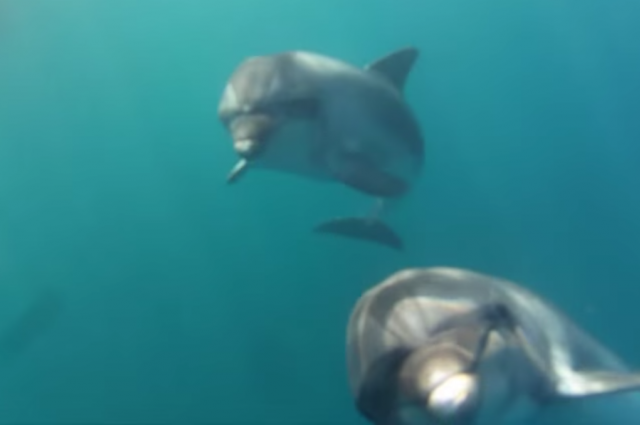 The video below shows the hard-fought struggle of the dolphins, and the inspiring story that has lead to their eventual release back into the wild. Their journey was also extensively documented by the foundation, in order a raise awareness of the problems with captive dolphins and lay the groundwork for freeing other dolphins back into the wild. There’s no doubt that this heroic work will go some way into helping captive dolphins across the globe. For now though, enjoy Tom and Misha’s story, and hope that we will soon be hearing many more like it.